I was able to go visiting teaching yesterday morning and I cannot stop thinking about the lesson. This month’s lesson is on The Divine Mission of Jesus Christ: The Bread of Life. I’m sure this whole story was taught to me in Seminary years ago, but if I heard it then (and I probably did) it didn’t strike me until now. Of course when I think of puffing up the first and most important thing I think of is Pride. My greatest foe. Unleavened bread is dense and heavy. However, it is rich and does not take a lot to sustain life. When you add the leaven, or pride it fills us with hot air making us appear bigger, but lessens our density and is not nearly as filling. Pride is the song in my life that I hate but it’s stuck in my head. I need to get it out! I need to beware of the things that puff me up and lead to pride. Fluff – meaning unnecessary things that make things pretty but don’t have a purpose. We add fluff to our lives all the time. We add it to our callings in the lessons we teach and the activities we prepare. 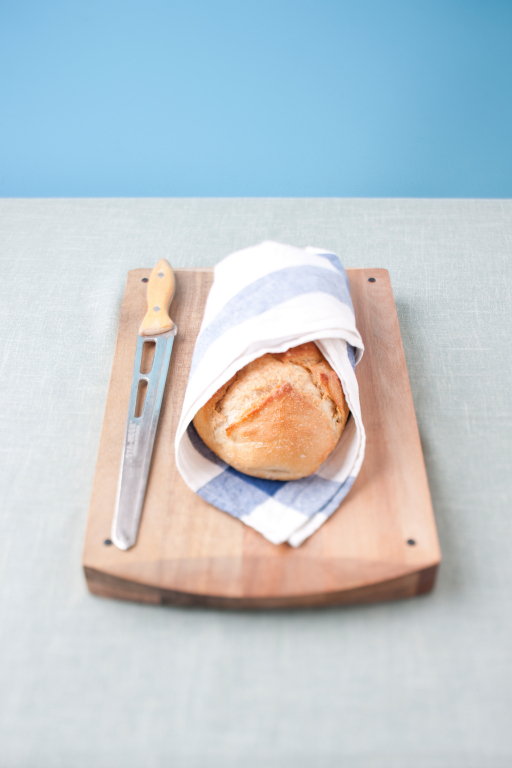 We stress out over making things as pretty as a beautifully risen loaf of bread (which is admittedly gorgeous). Some spiritual fluff is at times necessary because not everyone has learned to enjoy the taste of spiritually unleavened bread. However, we need to learn to wean ourselves off the tempting fluff as our knowledge and taste for the pure doctrine grows. The Lord works in balance, or in a balanced spiritual diet. Fluff is pretty, but not necessary to sustain life and sometimes distracts from that which sustains. Yesterday with the words of Jesus and his caution to watch out for the leavening doctrine of those who were not in line with His teachings I analyzed my life. Thankfully he doesn’t actually care what kind of bread we physically eat, so I went on eating my Nutella sandwiches with my leavened bread. But I found myself asking as I read articles on the internet, is this leaven? Or in the activities I participated in, is this leaven? I don’t think we need to always be actively productive or reading in our scriptures all the time, but I do think we need to be careful of the quality of things we do in both our productive time and our leisure time. For example, I like to read, and there are a lot of books out there that are full of leaven. I need to make sure the books I choose both for study and for pleasure are unleavened, or in line with my values. When I go running I need to make sure I’m training in a way that is unleavened, or in line with my values. When I am fulfilling my role as a mother I need to make sure I am teaching in an unleavened way and not watering down my teaching with unnecessary fluff. And when I’m measuring these activities with my values, I need to make sure my values are unleavened and in line with the purity of Jesus Christ. There are rewards for heeding the warning to beware of the leavened doctrine. After the disciples figured out what Jesus’ warning meant He turned to them and asked “Whom do men say that I the Son of man am?” And they repeated some things they had heard this person say, or that person say. And he asked them again, “But whom say YE that I am?” He’s asking them who they think he is, not what they’ve heard from other people, but what they have learned from themselves. Christ’s words are very important. I hadn’t noticed it, but up until that time Jesus never referred to himself as Christ. He tells us which scriptures he fulfills, and he tells us who he is in parables, but Peter could only know of his divinity by personal revelation. Jesus then gives Peter some important keys of the priesthood. And “from that time forth began Jesus to shew unto his disciples how that he must go unto Jerusalem, and suffer many things … and be killed, and raised again the third day.” Only after Peter’s personal revelation confirmed his identity did he begin to teach them about his mission and his role in the salvation of mankind. Only after the trial of his faith did Peter receive his reward. We have the blessing of so much knowledge about Christ already. However, do we know it because we are repeating what others have said, or do we know it because we have a personal relationship with Christ, gained through personal revelation, to confirm his divinity? If I have to say what I personally know about Christ what do I have to say? 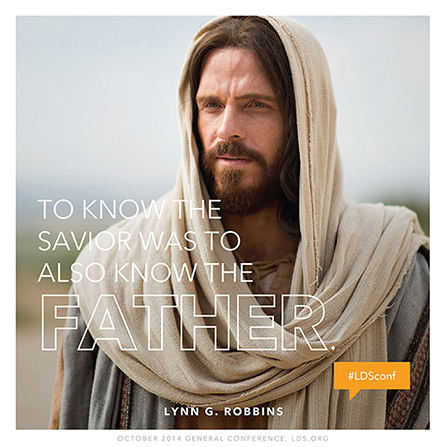 After we have personally confirmed our knowledge of who He is, He will begin to reveal to us more about his mission and his role in the salvation of mankind in a personal way and how it applies directly to us. Only after the trail of our faith will we receive our reward. Me too! There is nothing like warm fresh bread on a fall day!